Each year we build out a complete demo raft, giving us the chance to try out new ideas. Here's a look at what we did with the frame build out, this year vs last year. Both years the frame is 92” L x 78” W and set up to row with 10.5’ oars. 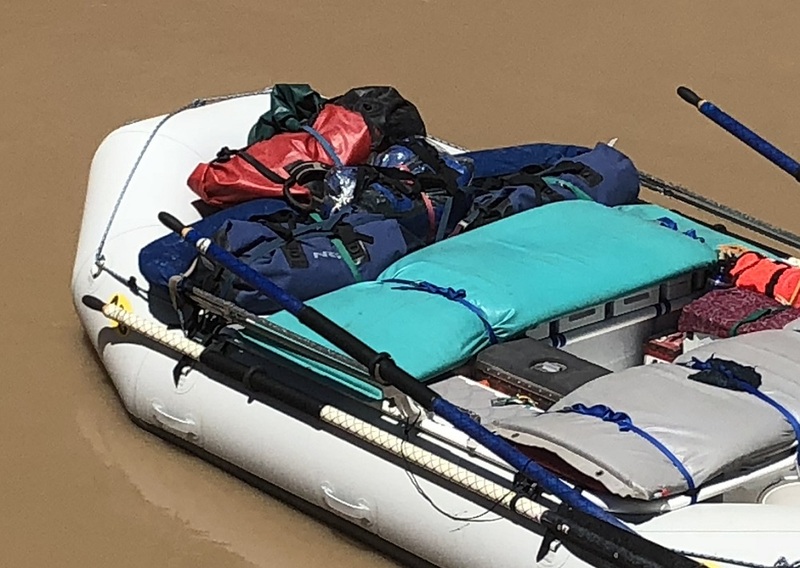 The 2017 demo raft had a 1 big dry box, the full width of the bay it lived in. 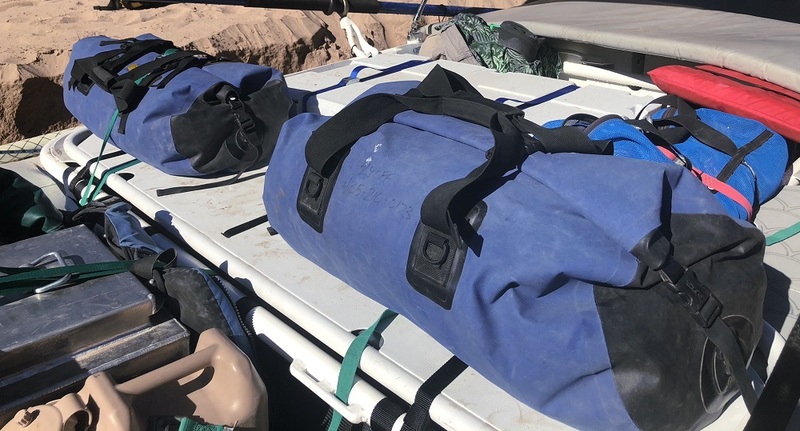 This larger size dry box tended to get overloaded, making it a challenge to take on and off the raft. 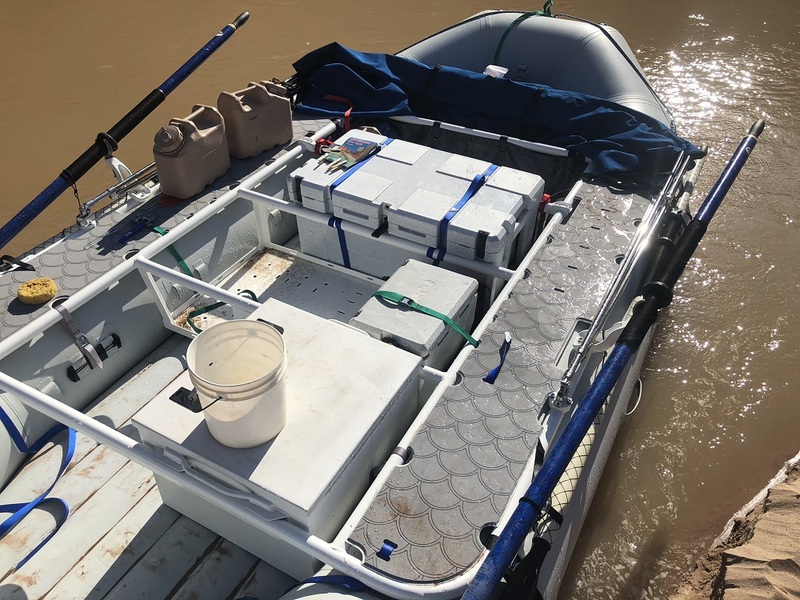 For the 2018 demo raft we made 2 dry boxes to fit in one bay, split boxes, which allow you to split up the weight of your supplies. 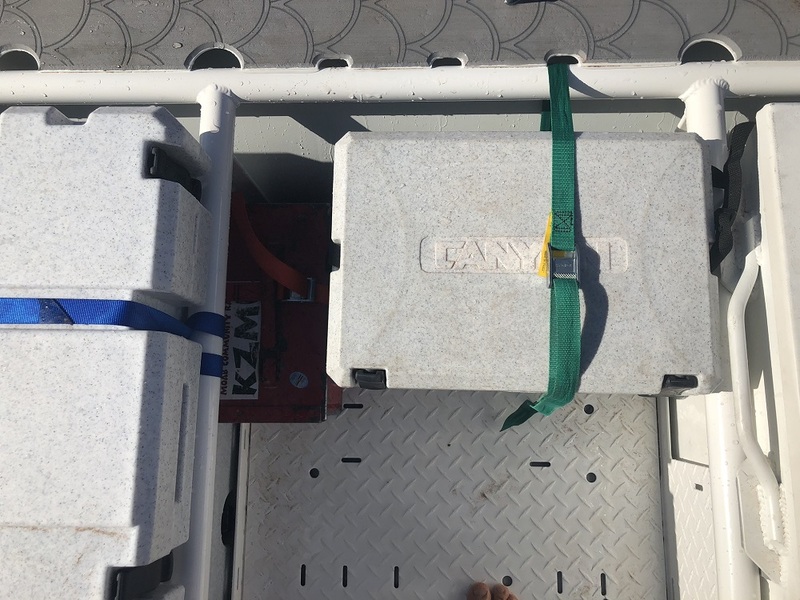 As for deck space on your raft, the split boxes function like a flat single box. A 24” bay width was chosen for the boxes because it creates a comfy space for passengers and works well when strapping in a paco pad. Across the bars on the frame the split boxes distribute weight differently than a big dry box so, we chose to reinforce the frame using a piece of flat bar on the front bar. We also added a kick plate and cut outs, which were super helpful for rigging the boxes in. Another new idea we decided to try was a smaller footwell. We went with 22” this year, vs 25" last year. It's a good size. There's still enough space for you to fit the items you want to have easily accessible, like a small cooler and ammo can. That said, we did notice when paco pads are tied to each side of the footwell, there’s room for improvement. The side dry box could use resizing, to make the lid a bit easier to open. 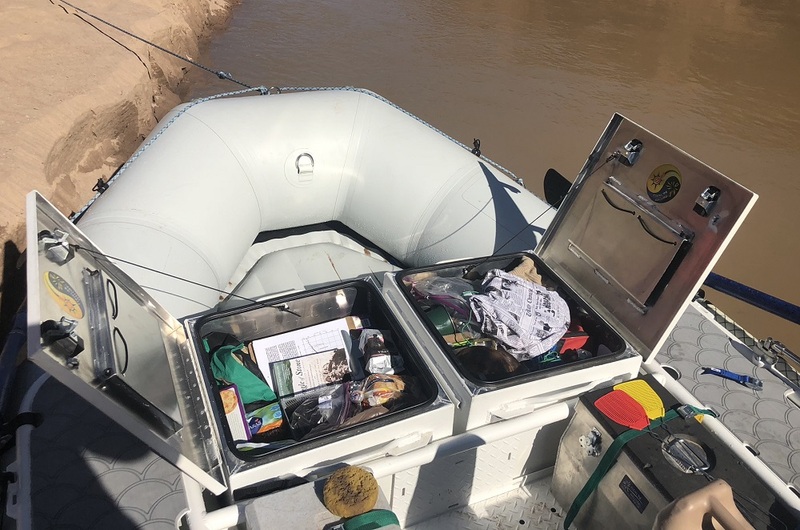 We also made a change that helps with trimming out the raft. Last year the 2 largest boxy items were in the back most bays. This year we put the split boxes up front, which allowed for more options for weight distribution and how the dunnage pile could get rigged. Here are a couple more pictures of this year’s demo raft. One of the rigging rails, read more about rigging rails HERE, and one of the SeaDek foam on the side decks, read more about SeaDek foam HERE. So, there you go, some information about the new ideas we tried out with this year's demo raft. For more pictures and information, check out our Boats for Sale.